Freeman pneumatic PFR3490 34 Framing Nailer can handle everything from framing, subfloor, decking, fencing and so on. It is one of the best choices if you are looking for any kind of framing project. Nonetheless, there are other ranges available from the same brand with 21-degree option but it is not recommended for heavier projects. The 34-degree nailer is suitable for any project because of its versatile features. It can prove to be a good do-it-yourselfer if you are looking for one. First of all, it’s important to remember that the Freeman PFR3490 34 Framing Nailer was designed for specific projects, namely framing, wall sheathing, sub-floors, pallet buildings, wood book assembly, fence installation as well as siding installation. So if your work or project doesn’t involve any of these things then you’re better off buying some other nailer. One of the best features of this product is certainly the “no mar tip” which helps in preventing damage to the working surface. Sure, you do not want to spoil the surface during work. This feature keeps it in check. However, many other nailers have similar features, the no mar tip seems to excel when it comes to framing and siding installation. Another issue while operating a nailer is indeed its proper placement. However, this feature is not exactly related to framing yet one of the most important characteristics. It has two types of trigger modes, one for simple firing and the other for contact firing. Both of these are handy for every project. The two finger depth adjustment dial makes it easy to adjust depth on any project. You can easily customize the depth length according to your need. Apart from protecting the surface from spoilage you also need to protect yourself from the same. The 360 degree adjustable air exhaust system makes sure that the air and debris from the workplace are away from your face. Most of the nailers available in the market are somewhat heavy to use. The construction is not light weight. However, same is not the case with Freeman PFR3490 34 nailer. The magnesium construction makes it highly durable and lightweight on your arms to handle. Any equipment asks for a sound grip to perform its function. A good handle surely does make a difference. The quality of grip directly affects the project you are working on. Freeman comes with an ergonomic grip system which ensures a secure grip and provides an anti-vibration comfort. Often the debris of the wood clog the internal parts of equipment. These are not easy to remove and also affect the working in the longer run. Freeman solves this issue by introducing an air filter which filters the debris or dust particles entering the equipment. 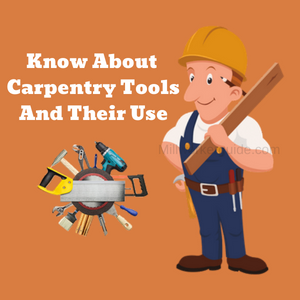 The equipment can get internally damaged while working with nails. The friction created during work can affect your masterpiece as well as the equipment. To avert this issue, this equipment stops working immediately if the nails are kept too low. You will need to add more nails so as to keep working efficiently. Another great feature associated with this product is that it uses 30 to 34 degree framing nails, which are 2” to 3.5” inches long. These types of nails are most suitable for framing work and can also be used for other projects. Most of the products available in the market come with 2 or 3 year warranty period. However, Freeman provides you a warranty of 7 years. This makes the product more reliable than others. 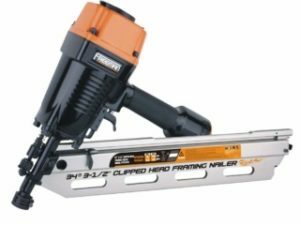 These aren’t the toughest features on the market, but they do somewhat improve the Freeman Framing Nailer’s durability and that certainly counts for a lot. Thanks to its magnesium body, it is easy to use and carry around. Interchangeable triggers are suitable for many projects. The 360-degree exhaust system keeps the debris at bay. Depth adjustment makes it easy to adjust the depth while working. It has an anti-jamming mechanism. Despite its lightweight, it is not as user-friendly as other nailers. Over-specialized features render the Freeman framing nailer less versatile than other nailers in the market. Freeman PFR3490 34 framing nailer is a great product for framing projects with advanced features which are unbeatable. Such features are not available in other products which make it different from the rest. It can also be used for other projects, however, the internal mechanism and nails render it hard to perform. It is a tough and efficient tool with a 7 year long warranty period. So if you need a framing nailer then you should consider buying the Freeman PFR3490 34.